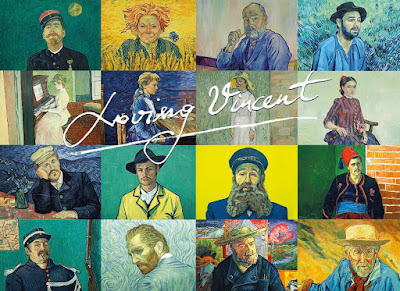 Just saw a fantastic movie tonight -- Loving Vincent, that is almost near the end of its two-week run in theatres in Hong Kong. 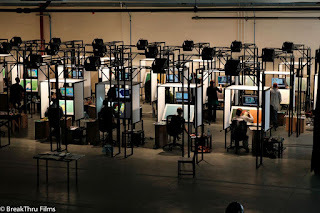 It's a gorgeous film to watch -- though my dad says he found it difficult to watch because the entire film is painted on canvas -- animated second by second in 65,000 frames. It's understandable that it can be hard on the eyes, as dabs of paint are constantly moving as a person or image makes a movement, as it is painted in the style of Vincent van Gogh. 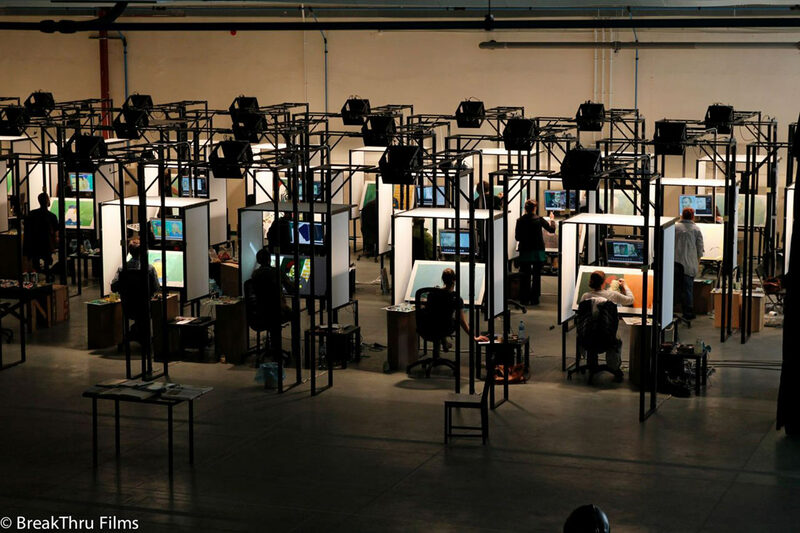 One hundred and twenty-five artists were recruited to paint this first-ever film animated by paintings. 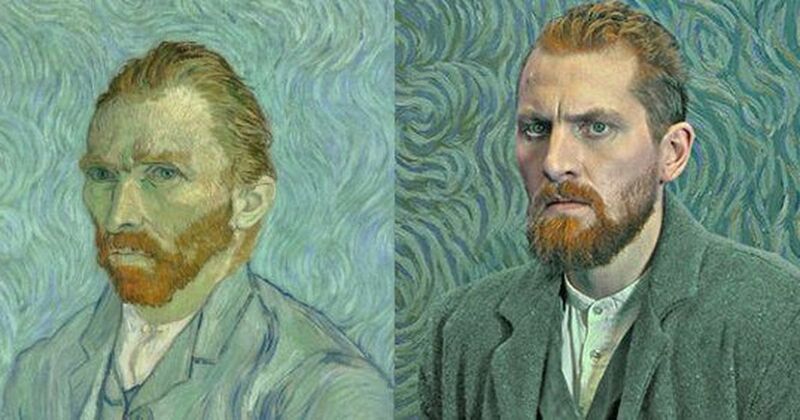 Live actors did the scenes, and painters recreated them in van Gogh's painting style, incorporating 94 of his famous works in the film. Not only that but the story line is fascinating too. There are different theories as to how van Gogh died -- did he kill himself or was he shot by someone else? This is what is explored in the film through the son of the postmaster who goes on a journey to discover the truth. Van Gogh and his brother Theo exchanged letters frequently, which is why the postmaster, Roulin, is very familiar with the Dutch artist. 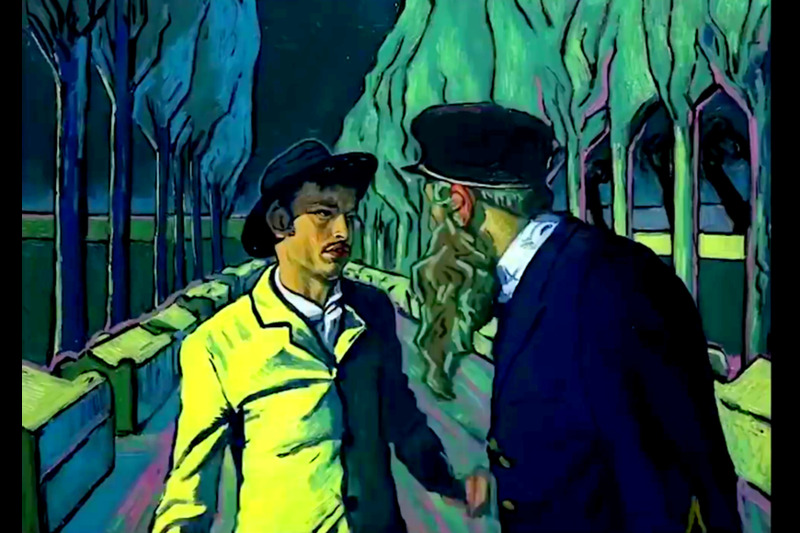 The film starts a year after van Gogh's death where the postmaster has one last letter from van Gogh to his brother and instructs his son Armand to deliver it. However, Theo died soon after his brother passed away, and the postmaster's son doesn't know who to deliver the letter to. Each person he meets, such as Pere Tanguy who sold van Gogh painting supplies, Dr Gachet, his daughter Marguerite, and even a boatman, tell him a different story about van Gogh, his personality, his artistic talent, his being bullied by others, his financial troubles. They also gives a different account of how or why van Gogh died, leaving Armand -- and us the viewers -- with a more rounded picture of the artist, whose parents felt he didn't live up to their expectations of their son, and so he was determined to make something of himself on his own terms. At the age of 28 he picked up painting with no prior experience and within eight years he painted some 800 paintings -- more prolific that many artists in the same time span. However he only sold one painting in his lifetime, a tragedy that his brilliance and contribution to the impressionists was only discovered after his death. 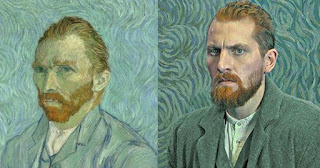 Personally I found the film mesmerizing -- it was just amazing to see each frame had been painted in oil in the style of van Gogh. It definitely could not have been computer generated -- van Gogh would probably be horrified! My friend YTSL remarked that the characters in the film were painted to look like the actual actors, who were chosen because they looked similar to the people in the original paintings. Meanwhile, the backstory scenes of van Gogh's life are painted more realistically in black and white to differentiate between the past and present. Loving Vincent is a labour of love and it shows. 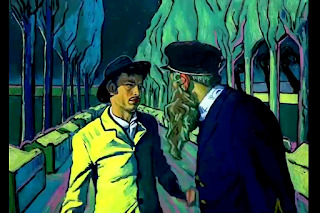 Co-director Dorota Kobiela also wrote the script; she was inspired after reading van Gogh's letters to Theo and studied his paintings, and wanted to incorporate them together. It's a gorgeously rich film that deserves recognition for all the work put into it, in particular the passion and literally every brush stroke. Fancy a Jet or Two on Taobao?